Having pets is kind of like having kids. They usually get sick on weekends or in the middle of the night when the only option is a trip to the emergency veterinary hospital. Every cat owner knows what it’s like to have a cat that gets sick. Even if they only get sick every now and again, it’s never a pleasant experience. A cat who vomits is a sick cat. It is never a “normal” symptom. However, it is not always a symptom of something serious. 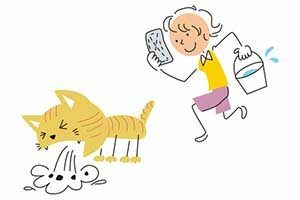 Learning to identify the different reasons why cats vomit can be helpful. However, you should always err on the side of caution. As a pet owner, you need to know that your instincts can be important to the health and safety of your pet. No matter what you read or are told if you think you need to bring your cat to the veterinary clinic in Dartmouth, do it. Don’t wait for more symptoms of signs, just do it. At Anchor Animal Hospital in Dartmouth, we have all of the equipment necessary to diagnose your cat’s ailment. From on-site lab work and a full staff of highly trained and experienced veterinary experts, we can also perform X-rays and an ultrasound exam for pets in-house. Even cartoon cats hock up hairballs on TV every now and again. That’s how common this particular ailment can be. While you don’t always need to bring your pets in for an exam at our emergency veterinary hospital, there are times when hairballs can be serious. Hairballs are caused by cats cleaning themselves. Their velcro-like tongues pull out the loose hair. Unfortunately, most cats swallow the hair while they are in the middle of a “bath” and it gets into their system. The hair cannot be digested, so it passes through their bodies and into the litter box. But there are certain situations where the hair just won’t pass through. In most cases, this means that the hair has become a big clump inside the stomach and the only way to get it out is back the way it came. Tightly packed hair that becomes molded into the shape of the cat’s esophagus is what usually comes up, followed by a bunch of stomach acids and fluids. Hairballs can be reduced with regular brushing and grooming. A high-fiber diet can also be beneficial. Speak with your vet at your next appointment at the animal hospital in Dartmouth for even more anti-hairball tips. Hair Gastritis is another condition caused by the hair in the system. The hair can cause an inflammation of the stomach lining which can cause the cat to vomit food or fluids. You might not even see any hair present in the vomit, as the cat may need to get sick several times before the hair finally comes out entirely. What are you feeding your cat? What is your cat eating? Sometimes there are two different answers to these questions. Even if you are feeding your cat a high-quality brand of pet food, the chances are good that he is still eating other things. Some cats have a penchant for dog food, people food, and non-food items. Be careful about changing your cat’s regular diet from an old menu to a new brand, as it can cause stomach upset and more vomiting. Pay attention to your cat’s daily habits to see if he is eating any people or other pet food. Avoid dairy if your cat is vomiting. While most cats love a saucer of milk, an issue with lactose-intolerance can be problematic. Cats lack the enzyme necessary to break down the lactose found in dairy products, which is why vomiting and diarrhea are common side effects of consuming dairy. Some cats have weird eating habits. One might gobble down his food quickly to prevent another pet from eating it, while another might eat quickly so he can beg for treats. Whatever the reason, it is important to prevent your cat from consuming food too quickly. A horizontal esophagus can cause vomiting issues on its own, but quick consumption can result in an involuntary regurgitation of food just minutes after a meal. Speak with your vet about ways to slow your cat down if he eats too quickly. They have lots of tips to share at the emergency veterinary hospital that can help eliminate this common problem. Cats like to play with and chew on just about anything. While most won’t swallow the things that they chew on, there are others who do. In a majority of cases, the non-food items will find their way back out. However, there are instances where they get stuck and can cause an obstruction. If the object is vomited up or makes its way through the GI tract, the cat should be okay in most situations. It is when the object does not make it’s way back out that the serious problems occur. Intestinal obstructions can be dangerous, causing the cat severe pain. If your cat vomits continuously, acts as though it is in pain, and does not eat or drink anything, bring him to the emergency veterinary hospital right away. You can even call our veterinary staff at the animal hospital in Dartmouth if you are unsure. The bottom line is that while many people recognize that cats are known to vomit up hairballs or mass amounts of food after eating too fast, vomiting still is not normal behavior. If your cat is not behaving as he typically would, call your vet. A simple X-ray or ultrasound exam for pets can put your mind at rest. If other symptoms occur, such as diarrhea, blood in the vomit, weight loss, dehydration, or a change in appetite and water intake, bring your cat into the local veterinary clinic in Dartmouth right away. If you have any questions about vet care for cats and dogs, please give Anchor Animal Hospital a call at 508-996-3731. Our team can answer any questions that you might have about our veterinary clinic in Dartmouth or help you to schedule an exam. We are an emergency veterinary hospital, but we also provide regular veterinary check-ups, treatments, and services.